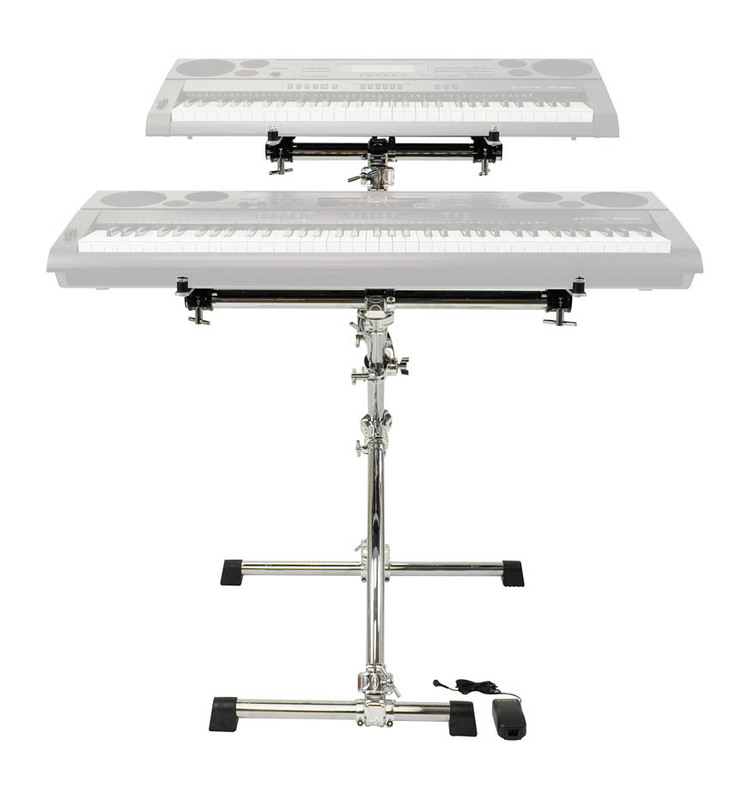 The sleek and sturdy Key Tree double tier keyboard stand offers up maximum portability and style for keyboards and controllers. 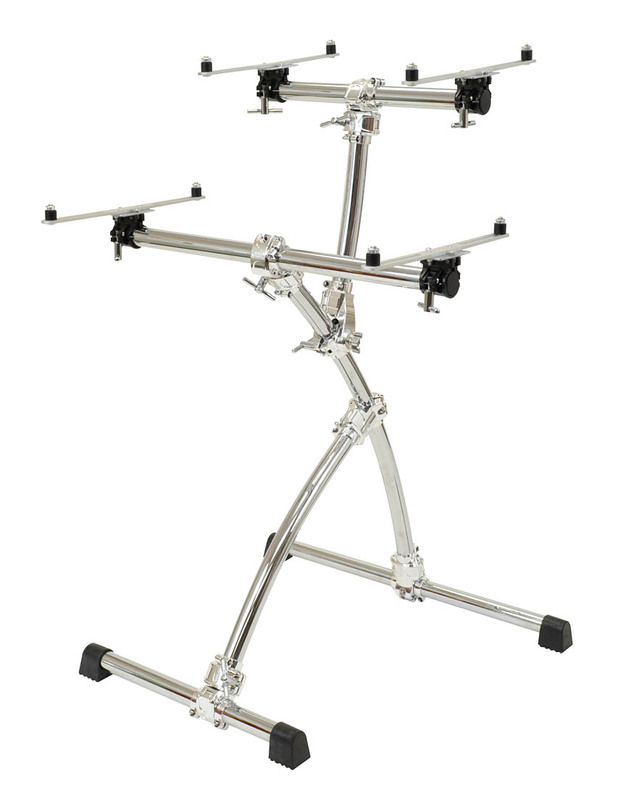 This sturdy; modern-looking stand replaces the traditional wobbly; stale; X stand and enhances stage presence with lightweight; expandable; and customizable options. 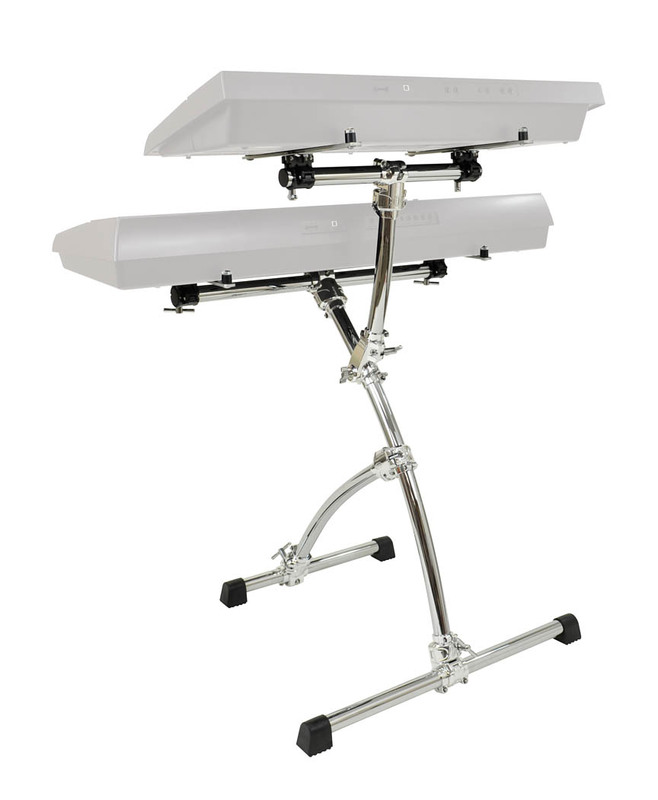 The Key Tree accommodates most keyboards with a range of 76 keys or smaller. Memory locks ensure precise positioning of this curvy; sleek design so that the stand breaks down quick; easy; and fits into a bag. 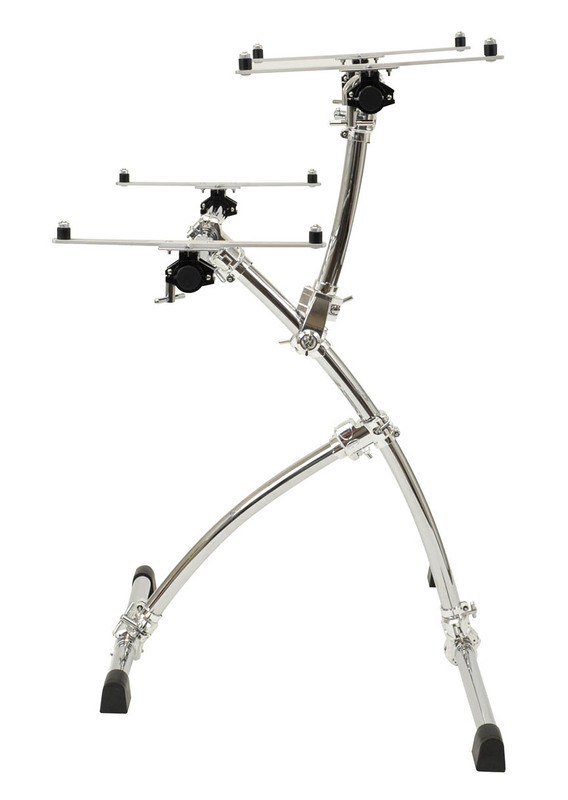 With a 30″ T leg for stability; and 36″ vertical curved bar; the lower tier has a height range of approximately 35″ to 44″.